We’ve heard Bill Gates talk about his last, emotional meeting with Steve Jobs before. First in the Walter Isaacson Steve Jobs biography and then again in a video interview with ABC, but last night Bill Gates once again discussed the final conversations in an interview with 60 Minutes. 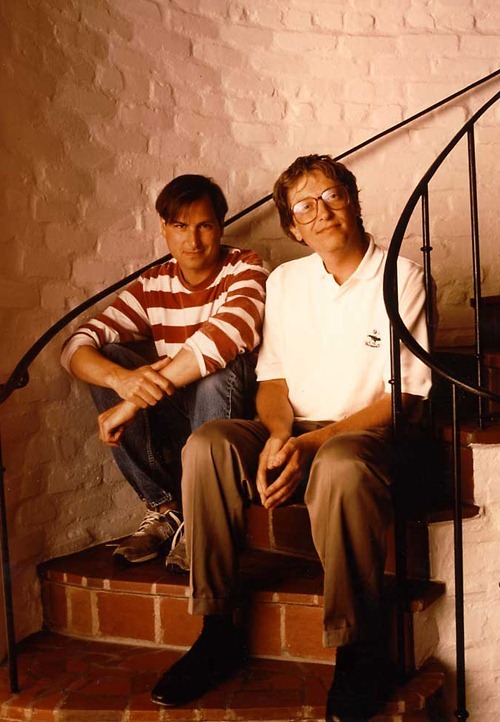 In the following unaired footage from the interviews, Gates said he was able to spend time with Jobs while the then Steve was sick and that they discussed what the two had learned growing up as titans of the tech industry, families and other topics. Gates also talks about Steve’s sense of design despite very limited engineering background, his “intuitive sense for marketing that was amazing,” and his emotional last meeting where the two discussed a number of topics including products, family, and the yacht Steve was having a built at the time. Gates even admitted that, while Microsoft attempted tablets, Apple was able to build them “in a way that succeeded” and said that he wish he had Jobs’ sense of design. I understand how Bill Gates has earned his name of being a class act through all his philanthropy work and attempts of making the world a better place. Bill Gates is just a great person, the world would be far better place if more of the super wealthy followed in his footsteps.